Your loved one’s boots will never lose shape again with these creative Boot Trees in them! The My Boot Trees make magnificent unique Christmas gifts for those boot-lovin’ loved ones on your holiday shopping list this year! 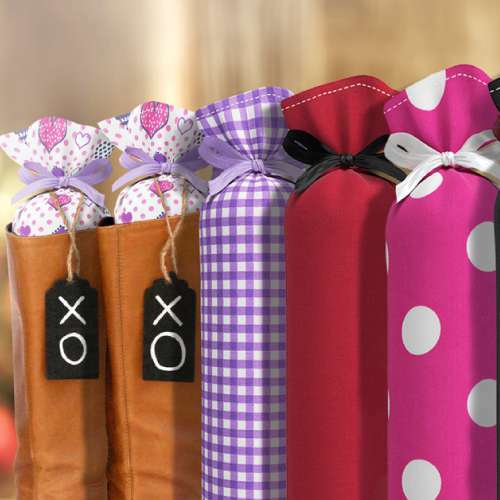 Available in a wide variety of color and pattern choices, they are a great way to add a little pizazz to your recipient’s closet or boot storage area. Each pair even includes two black wooden tie-on tags for a touch of personalization. Hand created right here in the USA from 100% cotton, these boot trees are made to last. If your trees do happen to expire, your loved one will enjoy the LIFETIME satisfaction guarantee that ensures they are replaced with a new set completely FREE for the rest of his or her life! They are designed to fit almost any boot sizes and widths, so you won’t even need to worry about buying the wrong ones. Unique Christmas gifts for everyone on your list, they are a great fit for men’s boots, as well as women’s short to extra tall boots. Prevent damage with these colorful creations! Your loved ones will never need to worry about sagging, bending or creasing of their boots again. 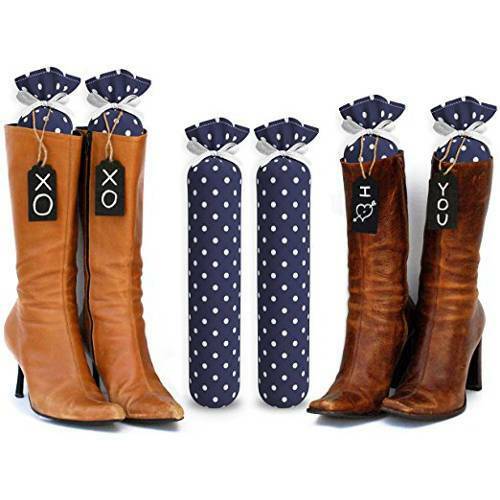 As an added bonus, these unique items also help improve the air circulation in your recipient’s boots to reduce the chances of foul odors developing.